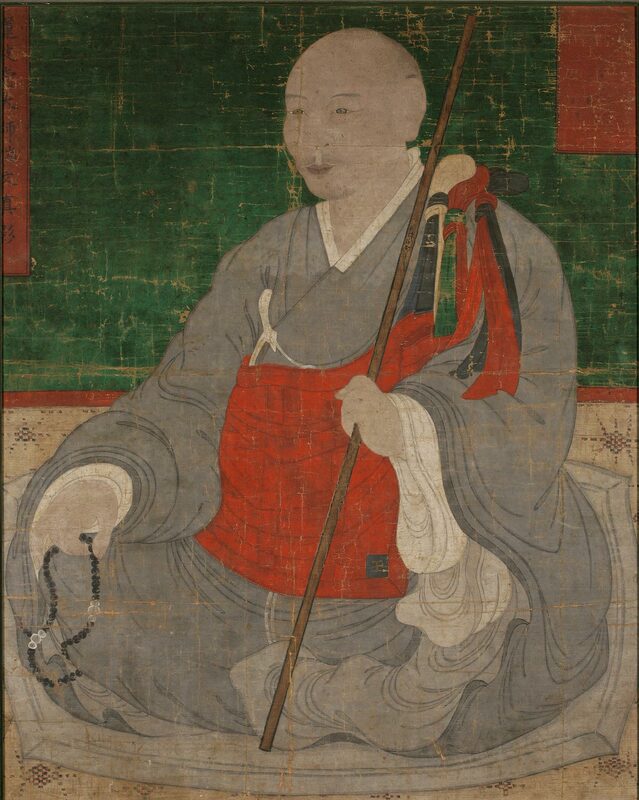 Portraits of former masters who had attained enlightenment were revered by disciple monks, a practice that led to the proliferation of paintings such as the one seen here. These commemorative pieces were used during memorial services in celebration of a renowned master. Artists not only sought to show the physical features of the monk but also to represent his enlightened spiritual mind. Earlier portraits depicted such subjects in chairs, based on Chinese prototypes.